One of the best parts of practicing aromatherapy is the selection of amazing scents we can find to either brighten your day, clear our out sinuses, or help us focus a little bit more when we are finding it hard to pay attention. When it comes to breathing in these amazing scents, there are several ways to do this ranging from opening the bottle and taking a whiff to investing a machine designed to project your favorite blends into the air you breathe. Today, we are going to take a closer look at two types of machinery that are designed with the sole purpose of filling your air with great smelling essential oils that bring a myriad of physical and psychological benefits. 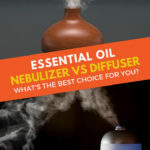 Essential oil nebulizer vs diffuser, which one is right for you? The only way to make this decision is by educating yourself on the intricacies of each. ​How Does A Nebulizer Work? This machine has one sole purpose and that is to break up the contents inside into microparticles that emit from it in the form of a mist. 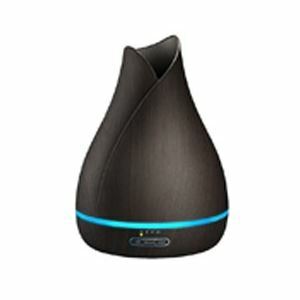 When this mist is breathed in, the user not only gets the benefit of the oil that the nebulizer is breaking down, but it also fills the room with an amazing aroma. First things first, we need to make an important distinction. When we talk about nebulizers in this piece, we are referring to nebulizing diffusers, which are different from the medical nebulizers which are used in conjunction with prescription medications by people with respiratory issues. 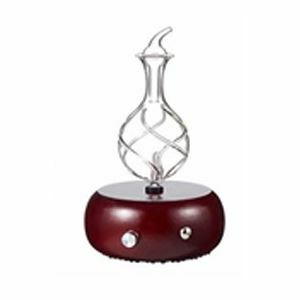 Nebulizing diffusers are made of glass and wood and used for aromatherapy purposes. When you first see a nebulizer work, it is quite interesting. You simply drop a few drops of oil in the glass basin and turn it on. The machine turns those drops into a mist and ejects it through a tube leaving it in the air for us to inhale. But how does it turn the oil into a mist? It seems that there is a small tube where the air current is pushed. When it moves through there, the velocity increases as the exit point pressure experiences a reduction. 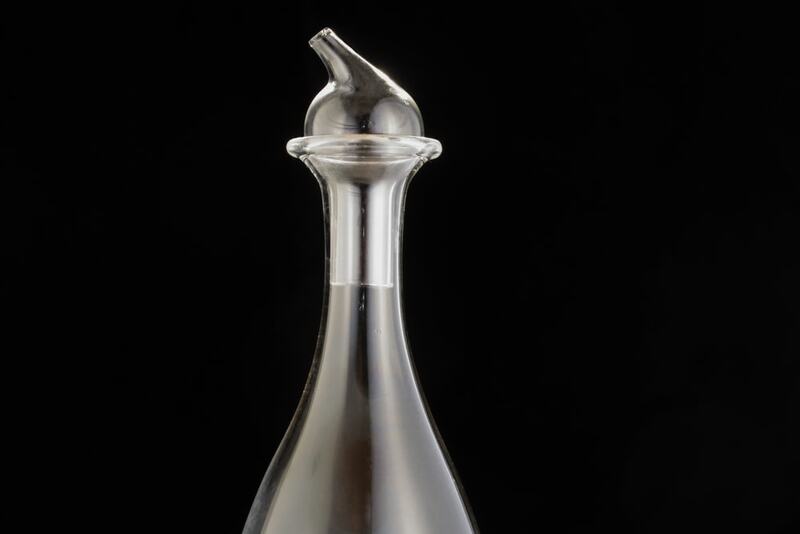 This contrast in pressure produces a suction that pulls the essential oils, which are in another glass tube. When the pressurized air comes in contact with the oils they are atomized and become the mist, which is waterless and made up of the pure essential oil compounds. The mist rises up and is emitted in the space it occupies. There are many benefits to using a nebulizer in your home or office. Relaxation, headache relieve, and deodorization are just a few that come to the top of my head at the moment. The particular benefit you will receive from nebulizing essential oils depends on the oils you choose to use. Still, this isn’t where the benefits of inhaling your scents via nebulizer ends. Between the two machines we are covering today, this one is unique in that it doesn’t require the use of heat or water to turn those oils into a mist. 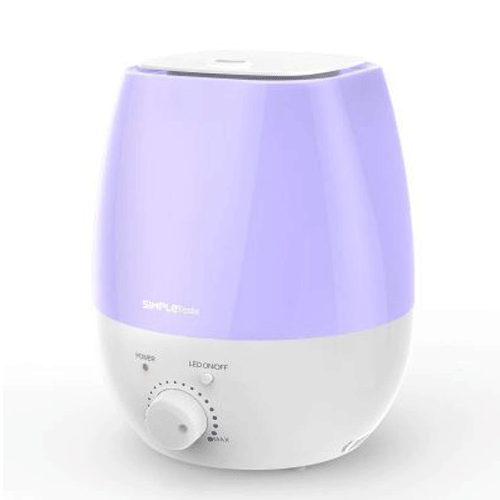 This is an especially wonderful feature for the true aromatherapy advocate because of the purity of the mist due to the lack of water but also because of the minimal risk of altering the compounds in the oils since this type of machine is heatless. 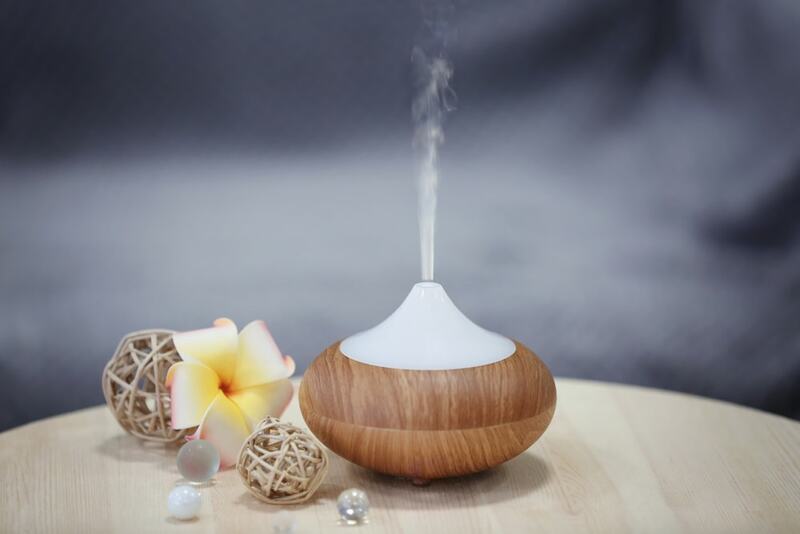 This term can actually be used to describe several types of machines that break down essential oils for inhalation, which is the basic function of a diffuser. Yet, how they work isn’t as cut and dry as our last aromatherapy device. Here are the different types of machines and devices that fall under the category alt of a diffuser. They are broken down for you below. This type of diffuser is very easy to use, and they can be created out of many things you can find lying around your home. 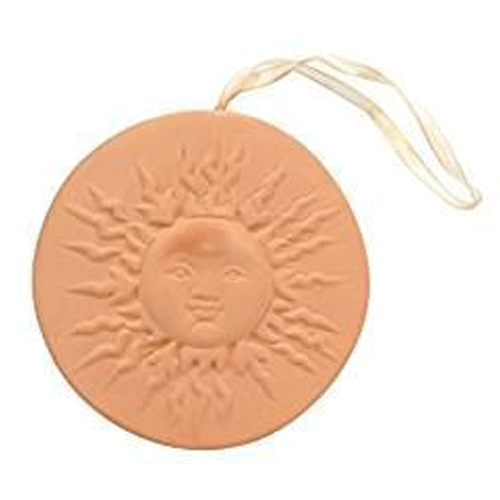 A cotton ball with a few drops of lavender oil can be used as a diffuser, and there are terracotta molds sold as decorations or necklaces that also fall under this type. Reeds sitting in oil that was placed at the bottom of the glass jar are also diffusers that utilize the process of evaporation. They slowly pull the oil upward and release it into the air. These types use heat to break apart the essential oil, which is blatantly implied in the alt. When the heat is applied, the oils disband and move through the air. These type of diffusers are good for large spaces. Probably one of the most widely used types of a diffuser, this device requires water and has an ultrasonic disk at the bottom of the basin. 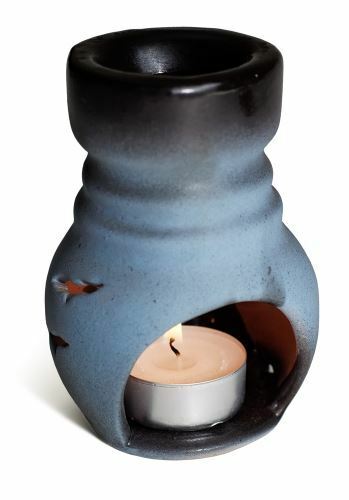 When it vibrates, the water and essential oils are broken up and released as a mist into the room. 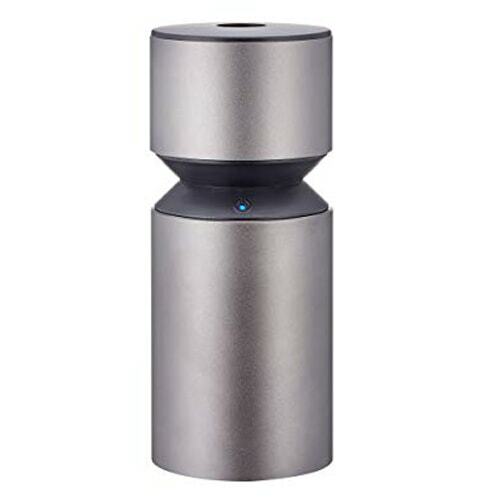 Ultrasonic diffusers are typically equipped with different modes, lightings, and it requires a USB port or an electrical outlet. As it turns out, nebulizers are diffusers, but just one of the several types that fall under the broad category. Since we’ve already covered this type, we won’t go into great detail here. It’s because they bring the benefits of aromatherapy and humidifies the atmosphere in the room. 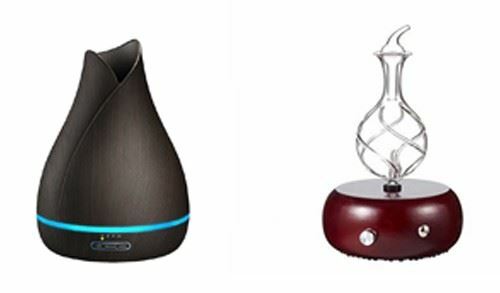 The reasons to use a diffuser are the exact same as a nebulizer. Relaxation, insect repellent, and freshening the air are just a few. As for the different types, the advantages of the evaporation devices include a lack of water and no heat applied to the oils. When it comes to the devices that require heat, they may be great for big rooms, and the ultrasonic comes with a lot of options that are unavailable with the other types. Since, ultimately, nebulizers are diffusers, so we will just mention the concerns about both of them together since they are the same. People with respiratory issues should talk to their healthcare professional before using any type of breathing device. If you do decide to diffuse via a nebulizer or other device, it is important that you do it in small intervals for a few times a day. It is recommended that beginners should start out inhaling for thirty minutes at a time for a few times a day. There should be a few hours of no diffusion in between these intervals. Always read the directions on your diffuser, nebulizer, and the oils before beginning to use them. Each oil has benefits and possible risks so be sure to do your homework. Nebulizers are diffusers, just one of several types that fall under that category. So it is difficult to compare something against itself. 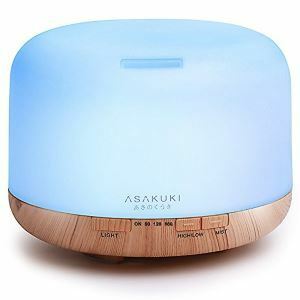 That said, when it comes to choices, there is a diffuser that can meet your needs. If you liked this article, please let us know in the comments section below and share it with your friends.